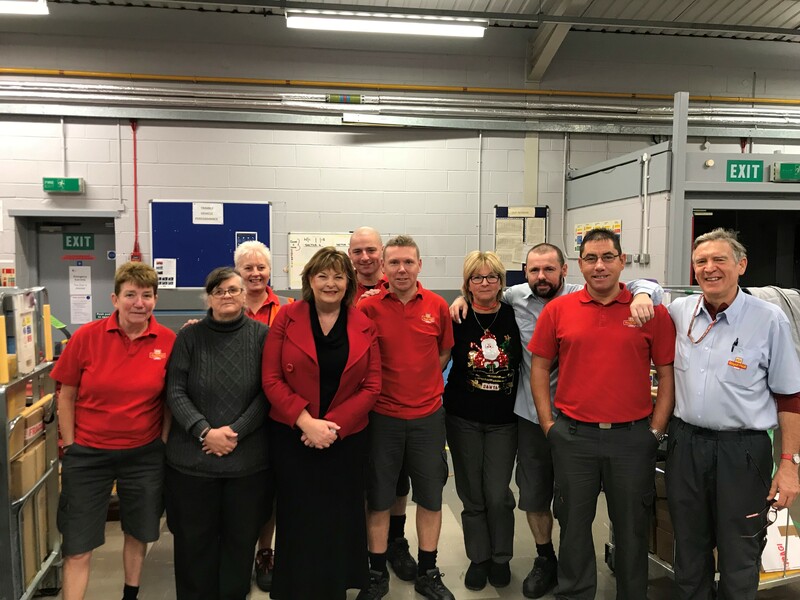 Local Constituency MSP Fiona Hyslop has visited Royal Mail’s delivery office in Linlithgow to pass on Christmas wishes and thanks to the postmen and women at their busiest time of year. Fiona was shown round the offices and was introduced to the local postal workers who are working hard sorting and delivering cards and parcels in the West Lothian area in the run-up to Christmas. “The dedicated and hard-working Royal Mail postmen and women at our local delivery offices in West Lothian do such an important job at this time of year and it is always great to meet them first-hand to see just how much effort they put into delivering for people at this time of year.